Scrum is a project management method that dissolves boundaries and distributes responsibilities which in other methods have been protected for years. It is a radically different way of working: as many activities as possible take place at the same time, in the same room. Scrum is fast and delivers very high product quality at the same time. The book is a manual. It is aimed at everyone who works on interactive products in a design & development environment. 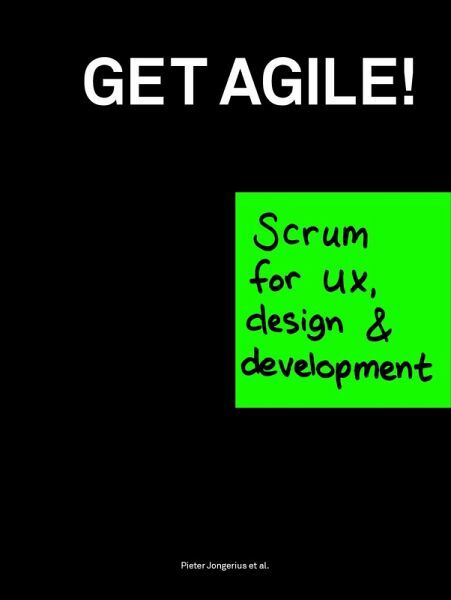 It contains all of the basic information required for getting started with Scrum, but also offers a number of in-depth chapters looking at topics which even the most experienced Scrummers have trouble with on a daily basis. If you are experienced, you will find the advanced tips and tricks useful. 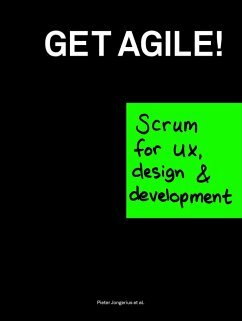 If you are just considering Scrum, this book will most certainly get you enthusiastic! Pieter Jongerius (author and editor-in-chief) is a partner at the Dutch design agency Fabrique. Pieter has been a pioneer of using Scrum in design and development projects. He was involved in Scrum projects for clients in retail and fashion amongst others and has written a number of leading articles about Scrum.